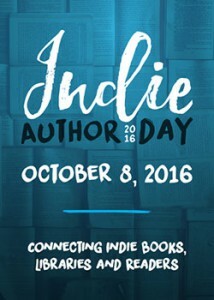 Join Stratford Library on October 8 from noon to 4pm for Indie Author Day, a nationwide event sponsored by BiblioBoard. Indie Author Day is designed to bring local writers together to meet and learn from each other and to participate in panels and lectures on self-publishing, self-marketing and other hot issues for indie writers, in addition to short readings and book signings. Everyone is welcome to attend and meet local aspiring authors and to discover new talent. Local writers will be selling their materials on-site for visitors to pick up their next favorite book. Local authors will be reading from their books and sharing information to help other aspiring writers. 2-3pm – National Indie Author Panel Discussion – Live digital event featuring Q&A with writers, agents and other industry leaders. The panel will feature Jon Fine, previously from Amazon, as the moderator, and panelists Kiera Parrott of Library Journal, Robin Cutler of IngramSpark, 2012 Mover and Shaker award-winning librarian Jim Blanton and BCALA award-winning author L. Penelope. Organized by BiblioBoard, Self-E, and Library Journal. 3-4pm – Local Author book signings and sales in the lobby.